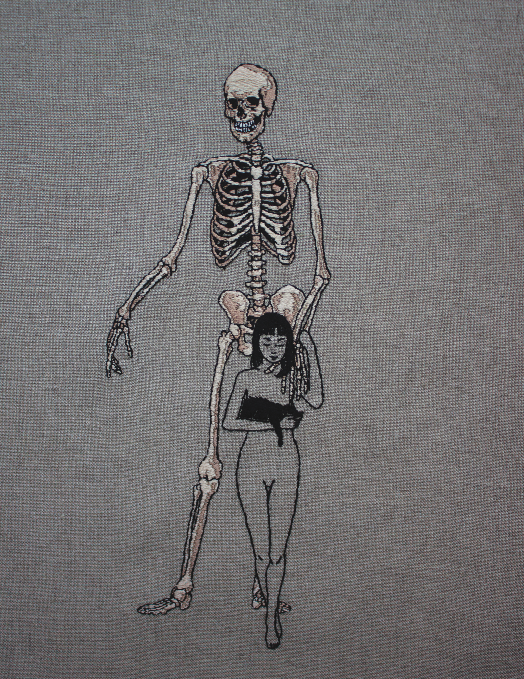 Adipocere, a self-taught hand embroidery artist, primarily creates their imagery for the therapeutic catharsis evoked through the medium. 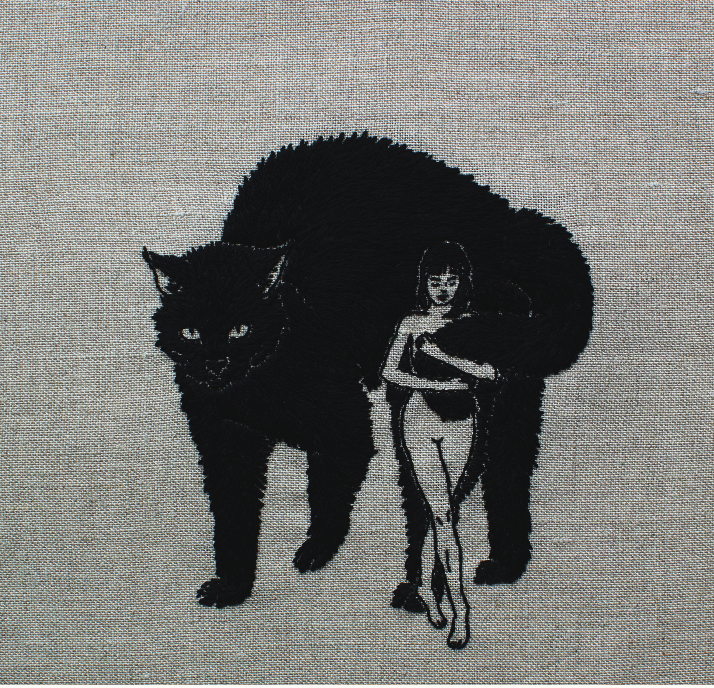 Their work focuses on displaying what they refer to as emotional self-portraiture while operating within the confines of a constantly developing, overarching fiction, one with small roots in reality but using motifs and symbolism to delineate concepts such as martyrdom, asceticism, existentialism, and the eventuality of death. 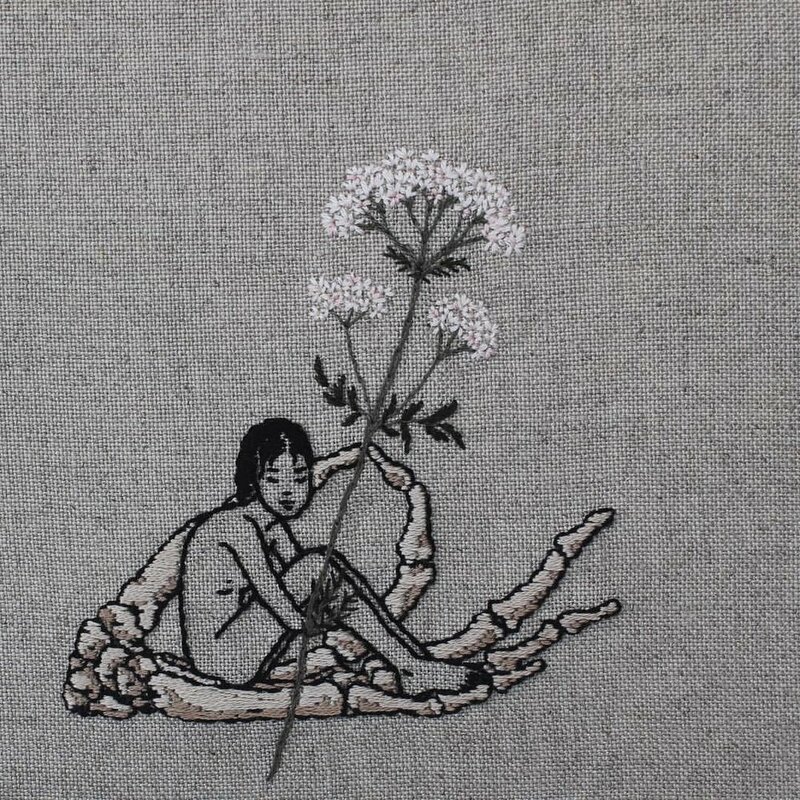 Adipocere is inspired by their environmental science studies, focusing on misrepresented fauna and the point at which humanity intersects. 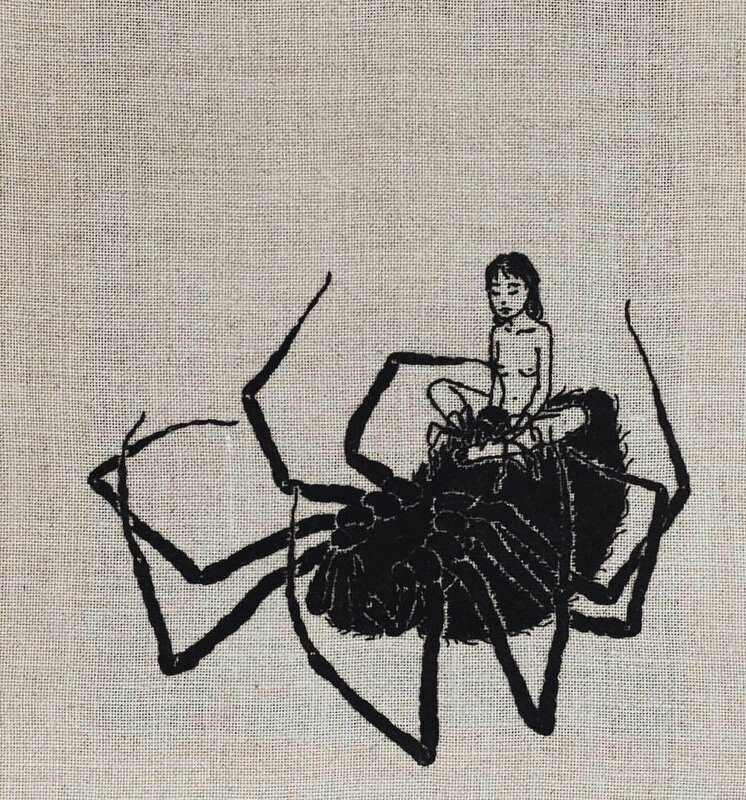 Check out more of their amazing work at adipocere.com and on Instagram. 1. I began my #CraftWithConscience series as a way to simultaneously promote the work of other makers and to discuss the complicated issues surrounding creative inspiration and developing one’s own visual vocabulary. The internet is an ever growing fixture in many artists’ lives and businesses, could you talk about the role the internet plays in your artistic and professional life? As with most, the internet definitely plays a very large and direct role. I have only recently begun to develop local, Australian connections, and even those are entirely through the internet. All networking, artistic relationships and international opportunities were afforded to me by way of social media. I’m very thankful for it. Furthermore, It has allowed for the large level of personal separation and anonymity I have maintained so far, which although isn’t so important to me now, felt very important to begin with. A lot of my inspiration comes tangibly from literature, snippets of recorded history, philosophical contemplation of life and death, and cats. My ongoing Environmental Science degree has also proven a rich source of inspiration, largely through various flora and fauna studies. I tend to become attached to groups of largely misrepresented fauna like spiders, moths and bats, which appear often as personal motifs. If my process changes with social media in mind, it’s completely subconscious. I guess any work-in-progress style documentation feels largely spurred on by social media. It more accommodates an ability to share process or studies which otherwise would not be seen due to their un-exhibitable nature, for someone who does not create via commission. 3. How have you, as an artist, found your creative voice? Creativity has always come rather naturally, albeit internalised. More recently, I’ve begun developing a large overarching fiction to link more of my sentiments together. It is a very slow process of constant expansion and looming constraints, carefully avoiding anachronisms. At the end of the day, I’m always trying to verbalise personal feelings through my imagery. This is probably why I find the actual process so cathartic. Each work tends to be a labour of love eked out one stitch at a time. 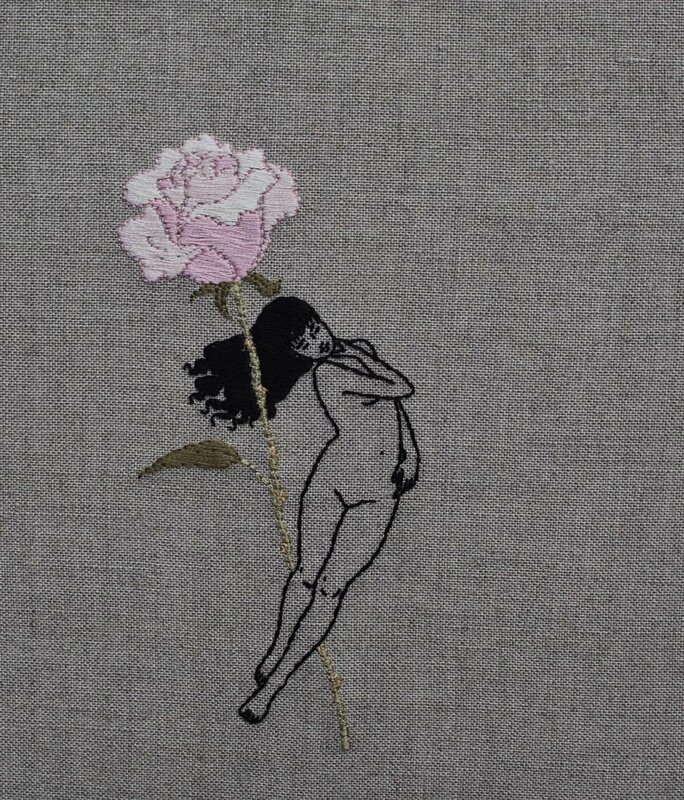 Hand embroidery can feel like a form of introspection when creating what may appear to be rather simple imagery, in such a time consuming fashion. I love the preservation of human-error in what results, often having a voice of its own. 4. Sites like Pinterest and Instagram are popular places for artists’ to share their own work. They also act as public visual archives, often leading to creative work by others that walks the line between ‘inspiration’ and ‘infringement.’ Have you encountered copies of your work online and how does it affect you? What are your strategies for dealing with it? That sometimes arbitrary line of inspiration versus infringement is an interesting conversation. I’ve seen blatant infringements, but also uncharitable accusations of being overly inspired. It doesn’t really affect me, honestly. I typically ignore it if I see it. Currently, I solely create work for various galleries, which doesn’t feel so jeopardised via these instances, when compared to how it may affect someone who is working solely via commission, or at a full-time capacity. It’s always great to receive credit for original designs, but I would encourage anyone to come to terms with the inevitability of work being copied, intentionally or otherwise. I believe this all plays a part in the art versus craft conversation as well. 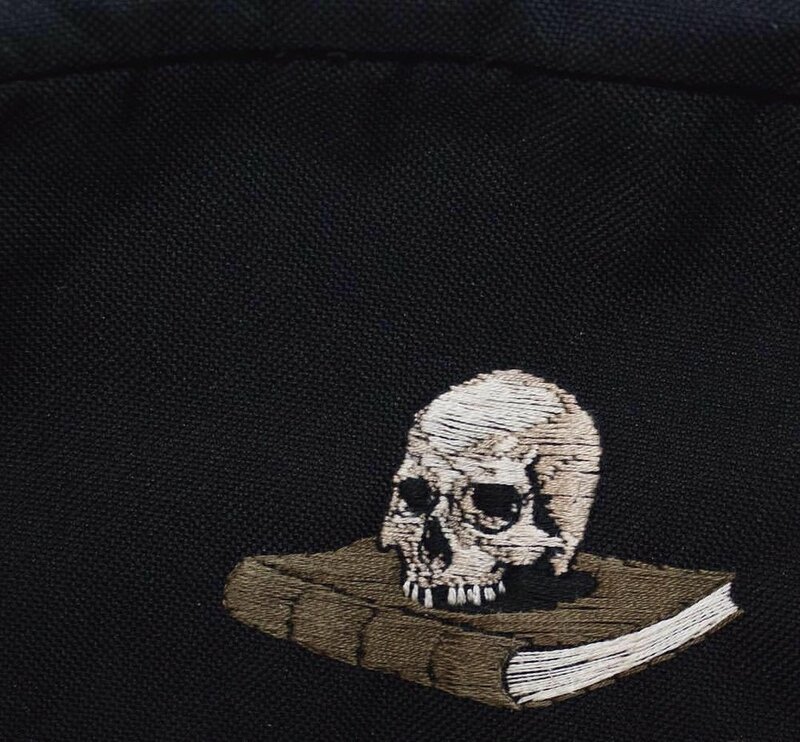 Casual infringements appear rather commonly within the embroidery medium. Generally, I am not interested in these direct, uninspired forms of fan art from a viewers perspective, and definitely don’t condone re-creating another’s work for monetary gain. That seems terribly immoral. However, I do fully allow any of my imagery to be committed to skin. I find it interesting how many people have been interested in getting tattoos of my artwork, around 150 that I know of. 5. Do you have any advice for aspiring artists or creative business people? 6. Do you have any favorite blogs, artists, or Instagram accounts that you’d like to share? If, like me, you have a penchant for macabre surrealism or baroque art, I highly recommend the various posting of my good friends @beinartgallery, @beautifulbizarremagazine and @bloodmilk. Craft With Conscience: Corrie Beth Hogg + Tutorial!